Having worked on Rebate Management in the past with SAP Innovative Business Solutions ( Custom Development previously ) and exploring Settlements Management in SAP S/4HANA in my earlier blog, I though to proceed in the area of configuration which is more of self learning and initiative as I couldn’t locate too many experts in this domain. Hence I did some dig-down my self and thought to share my knowledge, whatever little I could gather. This blog will cover the basic Customizing steps for SAP S/4HANA 1709 Condition Contracts which is a new solution replacing Rebate management. For detailed and standard delivered customizing you may refer to SAP note 2535889. Understanding of Rebate Management in ECC. Understanding of Condition Contracts in SAP S/4HANA 1709. For details on what condition contracts are, you may please refer to my blog. Understanding of basic SD terms Condition Type, Condition table, access sequence, pricing procedure etc. 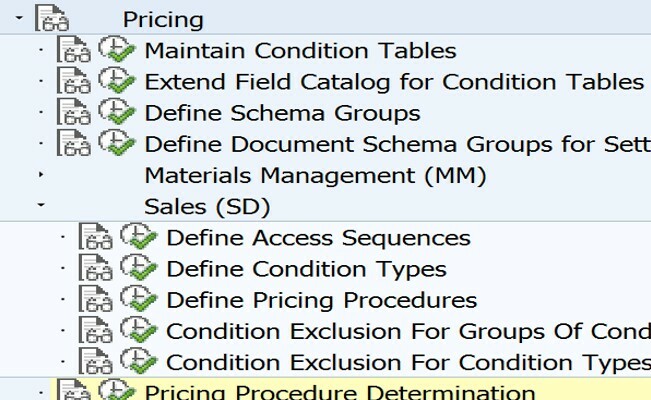 SAP provides condition table 4AB, 163 etc. by default. The condition tables specifically defined for Condition Contract Management contain the condition contract number as key field. Let’s create 2 customer specific condition tables 510 and 511 which are copy of 4AB and 163 respectively to understand with an example. This can be done at above mentioned link using the ‘Create’ option. This will generate A510 and A511 tables in the backend. I am doing this the custom way to explain the basic customizing steps from scratch so that we don’t scratch our heads later. SAP provides access sequences like COMP etc. by default. Let’s create a customer specific access sequence ZCMP which is a copy of COMP for both Sales and purchasing. SAP provides various condition types like REBA. Let’s create a customer specific condition types ZREB which is a copy of REBA. The access sequence ZCMP (with 510 and 511) we created earlier, will be assigned to this condition type ZREB. SAP provides various condition types like REBA, REBT. Let’s create a customer specific condition types ZRBA which is a copy of REBA and ZRBT which is a copy of REBT. The access sequence ZCMP (with 510 and 511) we created earlier, will be assigned to this condition type ZRBA and ZRBT. You assign a condition type group to a condition contract type. Let’s create a customer condition type group ZBON which is a copy of group SBON. In condition type group, you assign condition type ZREB for maintaining a rebate condition in the condition contract. This condition will be picked from the condition contract and will be populated in the sales order pricing. Let’s create a customer condition type group ZBBI which is a copy of group SBBI. In condition type group, you assign condition type ZRBT and ZRBA for maintaining a rebate condition in the condition contract. Please note I have changed the standard pricing procedure RVAA01 by replacing REBA with ZREB for testing this solution. You can create your own Pricing procedures. The pricing procedure will be used in the sales order. There is a pricing procedure BSETTL available in SAP. You may copy FB to custom group ZB. A document schema group ZB is created. You can define your number range here. Assign Sales Condition Type Group to ZBON and Purchasing Condition Type Group to ZBBI we created earlier. 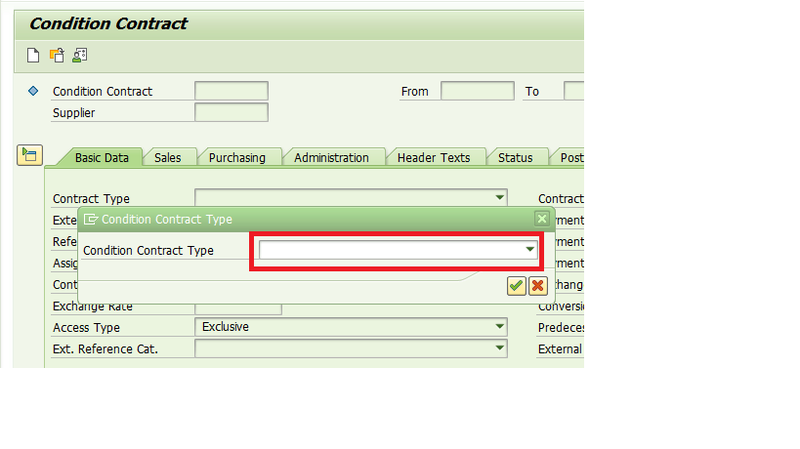 Please note that number range interval is assigned to the Contract type. 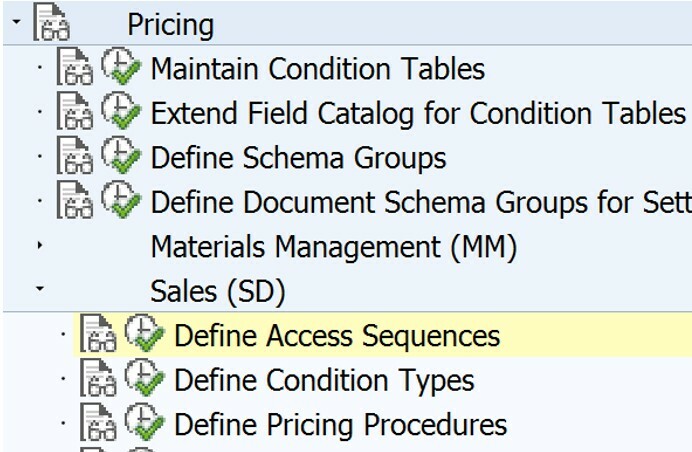 Double click on Document type and assign the document schema group we created earlier. 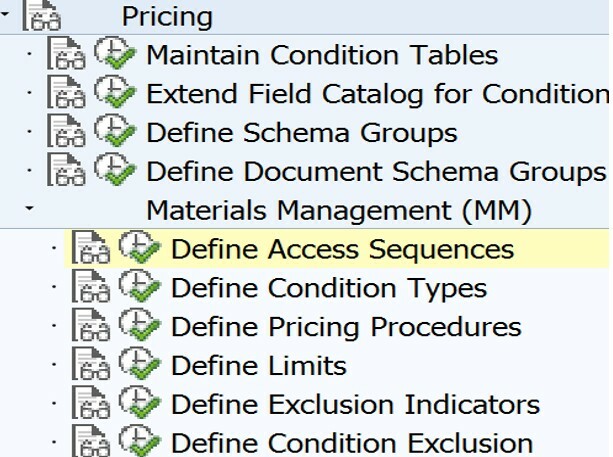 In the Document Schema group, assign the value ZB we created earlier. Please note I am just skipping a step to a create a Z Document Type and instead assigning Document Schema Group to an existing Document Type. Let’s create a condition contract in SAPGUI transaction WCOCO – Condition Contract. You can follow the blog to create condition contract. There will be multiple options to create conditions now. Our own condition tables are now visible in the Condition table drop down. You can add a Rebate condition value ZRBT 5% – This will be available in the Settlement document credit memo. You can add Bonus Accrual value ZRBA 3 % – This will be available in the Settlement document credit memo. You can add Bonus accrual value ZREB 1% – This will be available in Sales order. This has come from the below condition we created in Condition contract. Run SAPGUI transaction WB2R_SC – Settle Condition Contracts. This will create a ZRBT 5% and ZRBA 3 %– Rebate condition in the credit memo. Please ignore the reversal documents as they were created for testing. Also the condition tables have the entries we had created. Hope you enjoyed the blog and found it useful. Keep posting some S/4 HANA simple logistic related BLOGs. I have some case. I know business volume are generated from net value invoice (NETWR). And my invoice have some other surcharges. So, how we can make my business volume are excluded the other surcharges? Your advice are really appreciated. I’ve searched and tested but it can’t be done. From “Define and Configure Profiles for Business Volume Determination” , i didn’t find where is condition type “PR00” have assigned to amount fields. I don’t know whether this is the standard habits from settlement management or not. Because, my business process is business volume determined by price and quantity of material. Surcharge and discount are exclude from net value of business volume. Can you give some advices? It is really informative and helpful. thank you for the Blog. It is very helpful. I try to setup a prototype for SD in a ERP EHP-8 system. But I is very complicated, due to missing standard customizing settings. E.g. no standard condition type like REBA, REBT is available. Furthermore, the condition contract type SBBI inlcluding a SD condition group SBON which is not available in customizing etc.etc. So I have no template for copy. Do you have any idea what´s to do…? Hi, it seems like the content is available only in S/4 HANA 1709 system. I didn´t find it in S/4 HANA 1610 and ERP EHP-8. Unfortunately it is very difficult to customize a prototype in an ERP system. one more question about CCS. In ERP rebate processing we use scale groups to distinguish between scale base and rebate base. Do you know how to setup this with CCS process? I am facing a problem regarding a similar issue, when i run the transaction WB2R_SC the results is Ok (green) but the I got a mensage ” Document $$00000001 has status C and is complete“,and when I try to find or open that number the document is not created. I review the custo about the calculation,condition contract type, the number ranges for the Settlements document and in the table WBRK can`t see the documents. Have you taken the live mode ? Yes I do and has created a document. The problem is whe i run in backgroud and to get ir linked with the contract. We have an intercompany scenario where shipping plant is from different company code in sales order line item. When we deliver the goods are shipped from shipping plant and when we invoice the billing document is created in sales plant. This is as per standard SAP. Now we when we come to settlement management, if we activate the option ‘Document Entry with Plant Data’ then credit memo pulls the Plant from shipping company code which is maintained in sales order line item. If we dont use this option then no plant is determined in credit memo. Moreover, it is expected that settlement document should also pulls the plant same as billing document which is sales company plant. Have you encounter this scenario or any suggestions will be appreciated. Let us take a step back. Could you explain how does the rebate scenario mapping into the intercompany scenario ? Who is giving rebate to whom ? Sales Company where order was received is giving rebate to customer. Thank you for the document and it is very well explained. Can we use this process to map Commission Processing? We have an Agent(Not part of the Organisation) who is paid commission based on the value of goods dispatched for a Sales Order. Kindly let me know if we can use this process to configure Commission for Agents. Not sure i understand. If he is not part of the system ( neither as customer nor as partner function ), generate an invoice ( not a credit memo ) for yourself as the customer. Very Good document and very helpful. One question as I do not know the process at all. In Purchasing Rebates is it possible to distribute them to materials? Does it need higher version of EHP To have it enabled or any business function needs to activated. 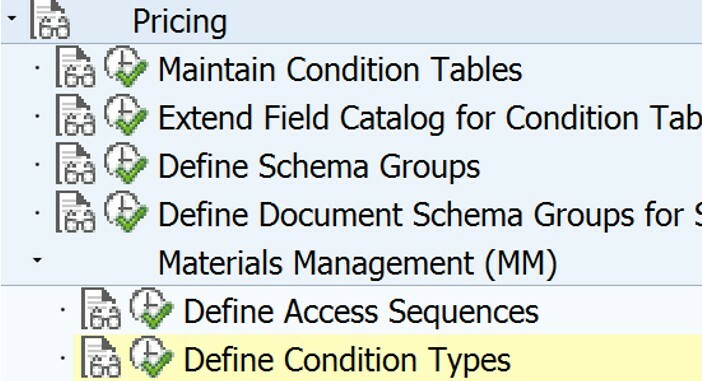 In ECC, condition contract functionalities are available since 606 release. I tried to follow your blog to test Settlement Management. In VA02 the condition type REBA doesnt show up and when I look in Analysis Pricing I get some problems. I dont know where I can read the meanings of messages. It says, that I dont have condition records, but in wcoco I created them. What did I wrong ? Im pretty new in SAP (since 1st March 18) and I hope you can help me. Thanks for your blogs. It’s useful for me. But can you hint me to config business volume selection criteria? I have a typical scenario where by I want to pay rebate to a vendor based on sales volume. Example: Vendor has supplied 100 Iphones to me, I have sold 60 Iphones from the stock to end customers. Now, I want to pay Vendor 5% rebate based on sales volume of 60 phones. How do I achieve this? Have a rebate condition of 5% in your conditions area. Your business volume should point to a sales + billing table. 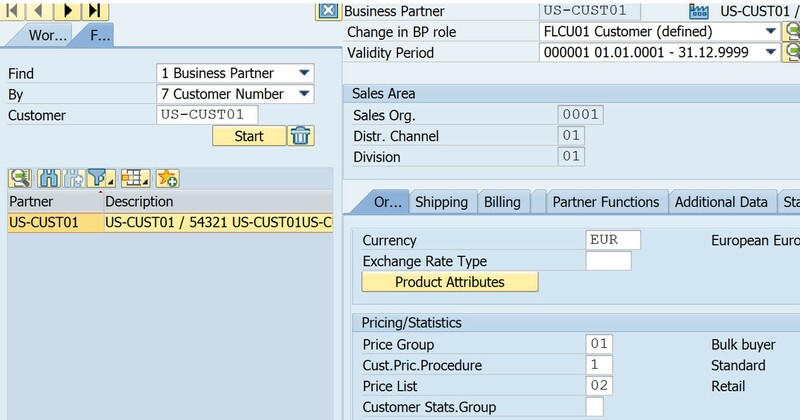 Customize the BV condition in Define and Configure Profiles for Business Volume Determination. We have a customer based Rebate. The Customer is linked to a vendor number. For one special condition contract type we will post the rebate on the vendor account. How I have to setup the condition contract type? Additionally: If the customer has no link to a vendor we will not post on the customer account. In this case we will post on special GL-accounts. Is this possible? I am configuring settlement management but I could not view any condition contract type in drop down list in T code WCOCO. Abhinav , it was very thoughtful of you to share this.Surely it will help many consultants to learn and configure rebate process in S4 HANA.